With Trek’s unparalleled product line and customer service it was an easy choice making them the flagship brand of our store. We stock several of their product lines in multiple sizes to help you find the fit for your needs. 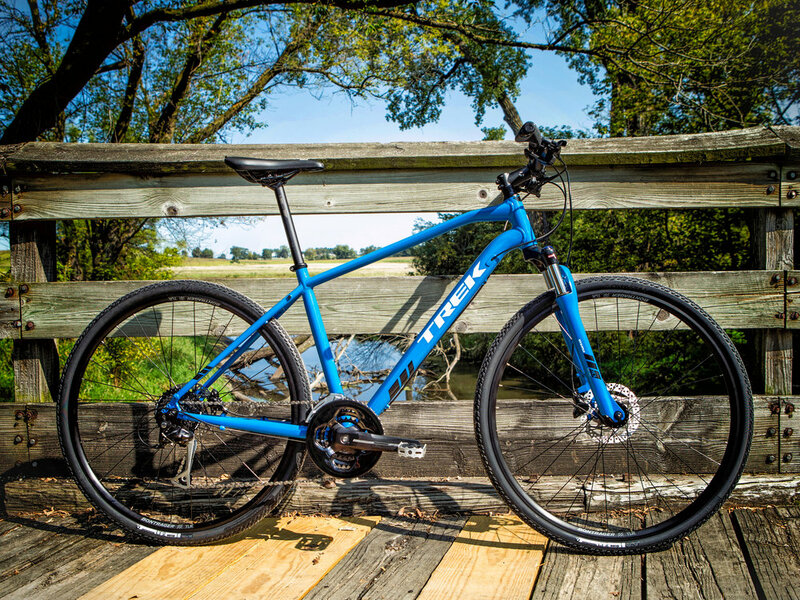 Our most popular offerings from Trek include the Marlin series mountain bikes and the Dual Sport series hybrid bikes. Once we have determined the bike you need we can order in the size and color you desire, with most of the bikes being available next day. Low on time, daylight, too cold out? Wahoo has you covered. Their electronic bicycle trainers provide the most realistic indoor riding option on the market, allowing you to take your bike for a ride inside. At the store we carry the full product line with the Kickr Snap being our most popular offering. Not sure indoor cycling is for you? We have a demo set up available for test rides. Call or stop by to schedule your time on the trainer.